Breaking News: Government are splitting Taoiseach into a Sober Taoiseach & a Pissed Taoiseach. 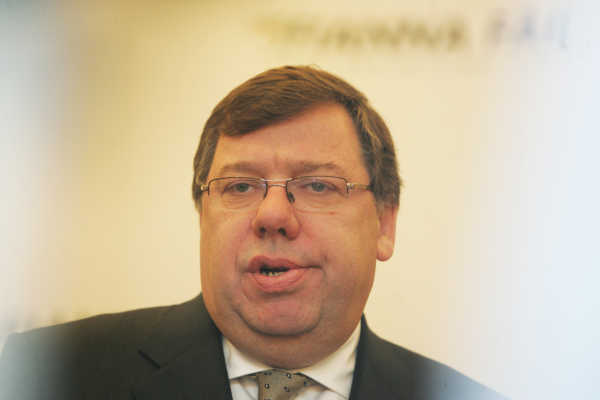 Lest we forget, I had a late night run-in of my own with Brian Cowen about six months ago. It’s easy for you to criticise butler. What with you bring teetotal and all. Figured the story might have been exaggerated until I heard the recording of Morning Ireland. It sounded like he was talking through an old pub carpet, pre-smoking ban. To be honest, the man is entitled to a drink, he’s entitled to be picked up by his driver, and he’s even entitled to get locked at his party conference, which is what he did by all accounts. What he has no right doing is giving an interview on the national broadcaster in the state he was in, whether he was drunk or hungover. I suspect it had a lot to do with timing Eoin, morning after Freefall programme aired. If you listen on YouTube, he sounded even worse on Morning Ireland after the same event last year and there was no controversy at all. Met him at an embassy do in Vietnam on Paddy’s Day when he was just about to slip into Bertie’s underpants as an Taoiseach, and he was certainly drinking and smoking, and a lot of my non-Irish friends were pretty shocked that a DPM could be so clearly on the lash, but they were also kind of envious, which made me for one brief second kinda proud… the fact that I don’t live in Ireland anymore, probably helps me to not give a rat’s arse if our top politician is flagrant piss-head. Still, he’s no Boris Yeltsin. Yeah, Yeltsin had enough cop on to stay on the plane!